Dawn makes pottery that concerns change: growth, erosion, order and disorder. Inspired by pattern and by landscape, her pieces often reference natural theatre like wind whipped grasses, turbulent skies or melting ice and snow. She works to depict visual movement across or down the surface of her pottery and also to embed movement into the surface, revealing and concealing layers. Most recently, her work is directly inspired by the various plants and flowers she encounters in her community. Wild or cultivated, she sees them as they change seasonally, endure stresses from sun and wind, and create intricate visual patterns with each other as they drift and twist according to the larger rhythm of the weather. Dawn Candy is a visual artist living and working in Red Deer, Alberta. She earned her Bachelor of Arts degree from the University of Lethbridge where she studied analytic philosophy and religious studies. She then went on to achieve her diploma in Visual Art from Red Deer College. 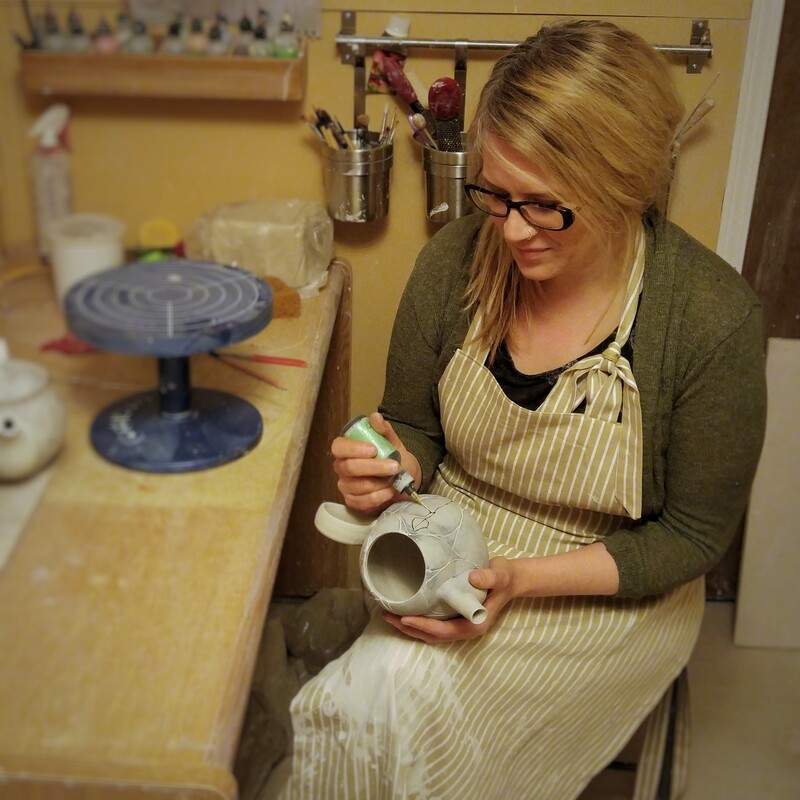 Currently she teaches several community art classes in addition to making her pottery.